We do Engine Repair in Lynchburg, VA.
Get a Free diagnostic computer scan! If your car's engine is not running well or if you have a check engine light on, bring it to us. 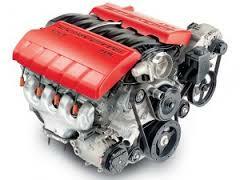 We will let you know whether its time for maintenance or if your engine needs repairs. We offer car engine repairs and factory scheduled maintenance to keep you going for the long haul. Call (434) 528-8836 for your appointment!